Following the publication of, “The Communist Manifesto” by Karl Marx and Friedrich Engels in 1848, the Marxist ideology took root nearly every European state to some extent. One of the consequences of this dispersion and diffusion of Marxism into European political thought was that the theory differed from region to region and from state to state. Russia in this case was no different, and in fact, and Gregory Freeze puts it, “[a]mong European Marxists, nowhere was the issue of the succession of revolutionary ‘phases’ more hotly debated than in Russia” (Freeze 246). The argument among Russian socialists at the time was over the proper succession of economic systems according to the Marxist ideology. Some Russian socialists believed that Russia was not ready to emerge as a socialist state. These revolutionaries believed that a capitalist system, industrialization, and a growing middle-class were necessary (albeit unwanted) steps towards class struggle and the emergence of a socialist economic system predicted by Marx. As Freeze states, “[c]apitalism was evil, of course, but a necessary evil, which carried the seeds of a socialist future in its womb” (Freeze 247). Though their side of the argument was closer to that of Marx’s ideas, these “legal Marxists” or “Mensheviks” did not appeal to the masses and always remained a minority in the revolutionary movement. Throughout his rhetoric of political organization and action, Lenin laid the groundwork for revolutionaries throughout Russia. His message of secrecy and resistance to the state resonated through the country and bolstered the ranks of the radical Bolshevik party, which would soon come to overthrow the Romanov autocracy and usher in the beginning of the Soviet period. 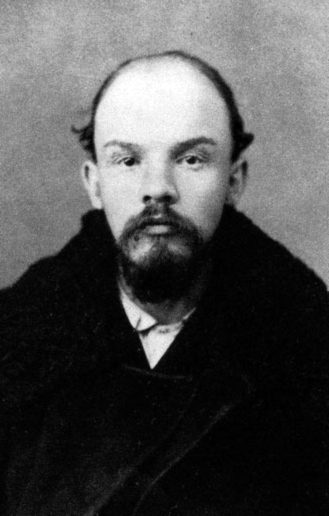 Lenin, Vladimir. The Primitiveness of the Economists and the Organization of the Revolutionaries. n.d. https://www.marxists.org/archive/lenin/works/1901/witbd/iv.htm (accessed September 7, 2014). —. The Spontaneity of the Masses and the Consciousness of the Social-Democrats. n.d. https://www.marxists.org/archive/lenin/works/1901/witbd/ii.htm (accessed September 7, 2014). I thought this was a great short summary on the state of Lenin and Marxism at this time. I would love to hear your thoughts on whether you think the Mensheviks just did a poor job at articulating their political ideology to the masses or if the Bolshevik’s were just better at it or just got their message out faster. I feel that peasants would be partial to improving their condition in generally and would not be quick to jump on the movement that essentially completely changes the entire makeup of Russia’s political and economic system. It would also be interesting to learn what tactics the Bolsheviks used in spreading their propaganda, as I am sure it had strong political influence and perhaps fictional aspects. I have no secondary sources to back this up, so take it all with a grain of salt, but I feel that the main problem faced by the Mensheviks was that their solutions were not radical enough for many of those who felt disenfranchised in Russia, meaning that their solution (a gradual evolution into capitalism, then socialism, etc.) did not offer any form of short-term relief to the everyday Russian. Their proposed route to socialism would take decades if not generations to finish, while the Bolsheviks said that a socialist government was attainable in the short-term, without the populace being ground through the cogs of capitalism. Even today, most people value short-term gratification over long-term prosperity. I feel that this was also the case with the Bolsheviks and the Mensheviks. This was a very informative post. I like how you emphasized that Marxism was different in different areas and states. It was helpful for me to read your reevaluation the conflict over whether Russia should go through capitalism although it was not desired or whether they should jump right over capitalism and enter into a socialist economy. However, I was wondering where you came to the conclusion that Lenin approved of terrorism before 1905? It is well known that Lenin approved of it later, but in “What Is To Be Done?” I found a passage in which Lenin describes “excitative terror” as an obstacle in forming a party. I am not saying you are wrong, I was just wondering if you found something in his work that supports that Lenin approved of terrorism, for maybe this reveals an inconsistency in his ideas. “Lenin’s What Is To Be Done? : The Primitiveness of the Economists and the Organization of the Revolutionaries.” Marxists Internet Archive. Accessed September 7, 2014. https://www.marxists.org/archive/lenin/works/1901/witbd/iv.htm.